Three men arrested following an alleged sexual assault and false imprisonment at an Islamic girls' school have links with the school, police said. Officers are investigating an alleged incident last Tuesday involving a small number of girls at Jamea Al Kauthar in Lancaster. A Bolton man, 40, and a Blackburn man, 30, were arrested on suspicion of sexual assault and false imprisonment. They have been bailed. A Blackburn man, 53, has been released without charge. Searches were being conducted at the school by female officers. The alleged incident was reported to police on Saturday and a search warrant was executed on Sunday. Police will not confirm the details of the men's connections with the establishment, but said they were arrested at the school. Lancashire Police said it does not have the identities of all the girls and it is trying to find out if the alleged victims are current or former pupils. Supt Andy Webster said: "We are still at the very early stages of what is a complex investigation and we have dedicated officers working to establish the full facts. "Our aim at this stage is to respond to the information given to us in a proportionate and sensitive way. "We will seek to minimise the impact and the disruption to the school and our local communities while we investigate the allegation." A spokesman for Jamea Al Kauthar said: "The school is aware of the allegations that have been made and at the present moment the school is fully co-operating with the police with their investigations into the matter. "We expect the matter to be cleared up soon." Lancashire Police has set up a dedicated phone line for concerned parents of pupils to call. The secondary school, on Ashton Road, was established in 1996 and has more than 400 pupils. 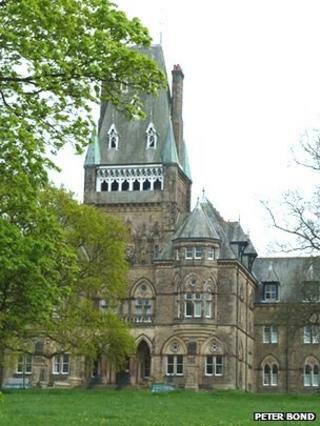 Police said a "significant number" of pupils at the independent boarding school are international students.